Industrial dampers and louvers are used to precisely control combustion air and flue gases in power plants, refineries, powerhouse boilers, furnaces and process heaters. A damper drive is a specialized pneumatic or electric actuator that positions air and flue gas dampers on combustion based systems in industrial environments. Damper drives can provide linear or rotary motion to meet certain application requirements. The damper positioning is a process control function that is used to increase efficiency, reduce maintenance, control harmful emissions, and lower fuel consumption. Damper drives have been installed in commercial and industrial application for many decades, and the replacement of older and obsolete models is an ongoing concern for operators. Retro-fitting an existing damper drive application can be mechanically challenging and labor-intensive. "Drop-in" refers to fitting in the existing drive's footprint, bolting pattern, and overall size envelope, so any replacement claiming "drop-in" compatibility is favorable in terms of time and materials. Rotork, a globally recognized manufacturer of valve and damper actuators, has developed a product series within their damper drive line that specifically addresses the drop-in replacement of legacy damper drives. 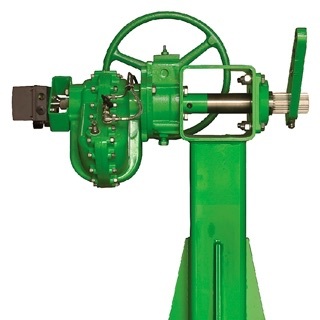 A product catalog describing the full line of Type K drive can be found here. For more information, contact CTi Controltech at 925-208-425 or visit their website at https://cti-ct.com.